At least three-quarters of a million lives were lost during the American Civil War. Given its seemingly in­discriminate mass destruction, this conflict is often thought of as the first “total war.” Aaron Sheehan-Dean's latest books, The Calculus of Violence, demonstrates that this notoriously bloody war could have been much worse. Military forces on both sides sought to contain casualties inflicted on soldiers and civilians. In congress, in church pews, and in letters home, Americans debated the conditions under which lethal violence was legitimate, and their arguments differentiated carefully among victims—women and men, black and white, enslaved and free. Sometimes, these well-meaning restraints led to more carnage by implicit­ly justifying the killing of people who were not protected by the laws of war. As the Civil War raged on, the Union’s confrontations with guerrillas and the Confederacy’s confrontations with black soldiers forced a new reckoning with traditional categories of lawful combat­ants and raised legal disputes that still hang over military operations around the world today. Aaron Sheehan-Dean is the Fred C. Frey Professor of Southern Studies at Louisiana State University and the chairman of the History Department. He teaches courses on nineteenth-century U.S. history, the Civil War and Reconstruction, and southern history. He is the author of Why Confederates Fought: Family and Nation in Civil War Virginia and Concise Historical Atlas of the U.S. Civil War and the editor of several books. 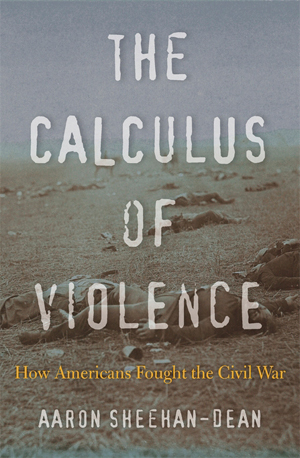 His latest book is The Calculus of Violence: How Americans Fought the Civil War. Can’t make it to the Banner Lecture? Watch it live on the Virginia Museum of History & Culture Facebook page starting at noon. Tell your friends to tune in and don't forget to say hello and tell us where you are watching from in the comments section during broadcast.